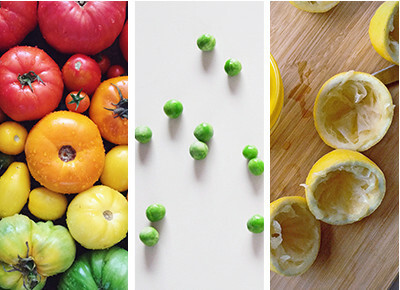 NEXT ARTICLECanned, Frozen or Fresh: How Should You Buy Your Veggies? If you’ve got a blender in your kitchen, you probably fall into one of two camps: those whose machines have accumulated a solid layer of dust after years of non-use and those whose blades are about to fall off from pureeing smoothies every morning. No matter what team you’re on, you might not realize just how versatile your blender can be. Read on for 16 mouthwatering recipes that use your handiest tool--and have nothing to do with kale. Sure. you need an oven, too, but when the result is this salty and sweet and perfect, it’s totally worth it. Proving that healthy pizza doesn’t have to be gross pizza. Ready in five minutes, this dip is an absolute no-brainer. No word yet on how to make a vat of this stuff. Is the new peanut butter. You know, to make use of your blender-made almond butter. OK fine, the croutons are not made in the blender. This version of the usually unhealthily creamy and irresistible dip is healthily creamy (vegan, with cannellini beans, cashews and coconut milk) and irresistible. Fresh and chunky and as spicy (or as not spicy) as you want it. Take comfort in knowing exactly what went into your condiments. Wait, nachos don’t have to make us feel really bad about ourselves? Not when made with carrots, turnips and cashews (plus nutritional yeast for flavor). The pairing possibilities are endless. Don’t let the “cream” in the title fool you: This hearty dish is vegan.